I was sorting through my makeup collection recently and realised I own way too many eyeshadow palettes so I don't think i'll be buying more anytime soon. You can probably sense from this collection of palettes that I tend to go for neutral palettes and I wear these type of shades everyday. 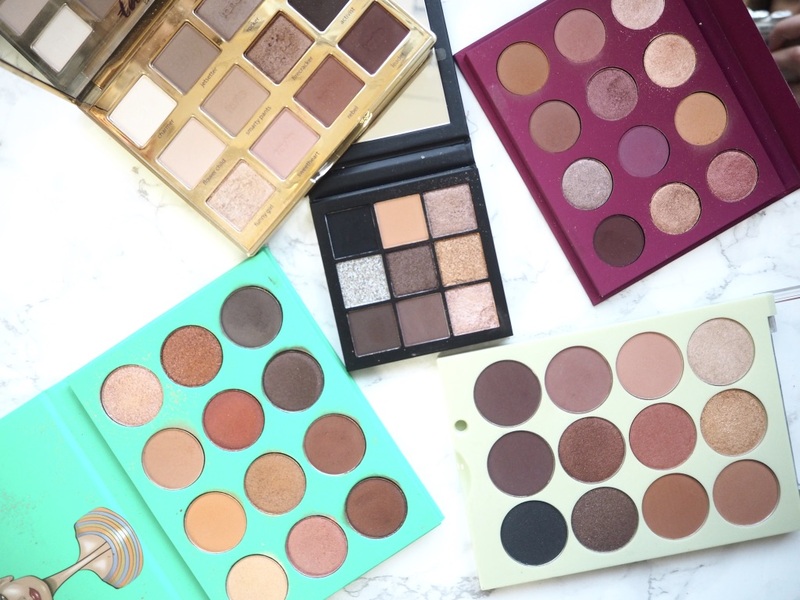 This post features all of the new palettes I have been using a lot recently. I have been using this palette so much recently as I love the pretty warm shimmery shades and the darker burgundy tones are a little different to my usual brown tones. These are the signature Tarte Amazonian clay formula that gives intense colour pay off, blendability and they apply so smoothly. My favourite shades from this are Rocker, a shimmering taupe, Firecracker, a bronze copper, Sweetheart, a matte peach, Rebel, a chestnut brown and Leader, a dark brick red shade. You can probably tell that I love these mini eyeshadow palettes from Huda Beauty and the formula of the eyeshadows is amazing. As the name suggests this palette contains every shade you need for a smokey eye and you can either go full on dramatic or more subtle. There is the apricot base shade and some shimmering bronze and copper shades, a shimmering silver and matte browns and a black for that shading. This is slightly different to the others as the shades are more of a mauve theme. I love the CP eyeshadow palettes as I find the formula of the eyeshadows to be amazing and the palettes are so affordable. The eyeshadows are pigmented but not too much and they don't have too much fall out and they blend so well. This palette also comes with a mirror so it's handy for travelling and using on the go. This palette contains both shimmers and mattes, my favourite shades are Candygram, a metallic pink with a gold reflect, FBO, a metallic violet, Look-See, a matte plum, DTR, a metallic taupe, and Pulling Strings, a warm saddle brown. I'm so glad this brand is now available in the UK as their eyeshadows are amazing and this palette is the ultimate warm toned neutral palette. The palette contains 12 shades in either a matte or shimmer finish and they are so pigmented and last all day. The shimmers are buttery and smooth to apply and the mattes blend out beautifully. The palette has lots of transitional shades and you can create a simple day look or more intense with the darker matte shades. Admittedly this is very similar to the Juvia's Place palette but there are more red and pink toned shades in it. You get 12 shades starting at softer beiges and pale gold shimmers, to matte mauves and taupes and then to dark browns and a midnight blue shimmer shade. The formula of these is silky and easy to apply with a good amount of pigment. Those are all such pretty shades! The Juvia's place eyeshadow palette looks amazing! I've been seeing these everywhere at the moment! 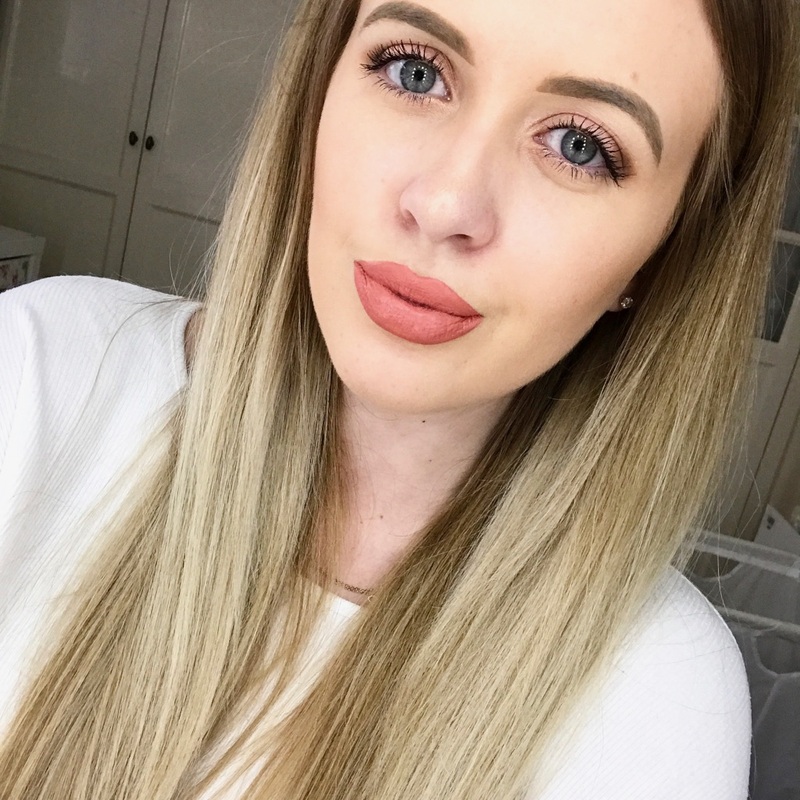 The Tartelette In Bloom palette is one of my favourites - it's fab! I don't know anyone who's tried it and hasn't loved it! I totally want to try a ColourPop palette as I've heard the shades and formulas are amazing! Definitely going to invest in one!